In the Indian state of Rajasthan lies the city of Jodhpur. It is a city begging to be explored, dotted with blue walled houses. For this reason, it has been dubbed The Blue City. It is a bustling city located at the edge of the Thar Desert. 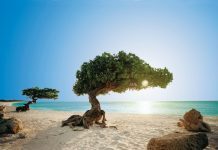 Its unique scenes have earned front-page photo spots in different magazines all over the world. Thinking of a visit to Jodhpur, here are some things you have to know before you take off. A trip to Jodhpur is incomplete without visiting the Mehrangarh Fort. It towers above the skyline of Jodhpur, built on a hill that is already 120 meters higher than the city’s tallest buildings. Of all the forts in India, this is the most magnificent, rich in history, myth, and legend. 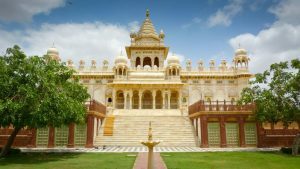 Jaswant Thada is the perfect example of India’s unmatched architectural brilliance. It was commissioned in the 19th century by Maharaja Sardar Singh as a memorial to his father. Today, it is used as a cremation ground for the royal family. The exterior of the building was finished with fine marble that emits a warm glow under sunlight. The clock tower is one of the most visited landmarks in the Blue City. The tower was constructed over 300 years ago, and it has witnessed the numerous rises and falls that the city has endured. A visit to the clock tower will also earn you a chance to visit Sardar Market. From the market, you can follow narrow alleys that lead to a bazaar where you can find some of India’s finest spices in their raw natural form. The Sachiya Mata Temple was built in the 8th century. It receives thousands of pilgrims and tourists alike, every year. The magnificence of the temple starts right at the entrance where you will find a long flight of stairs with elaborately decorated arches. There are statues of gods and paintings dating as far back as the 12th century. 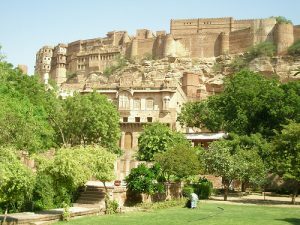 In the vicinity of the Mehrangarh Fort lies the Chokelao Bagh. It is a garden with well-selected plants that can go without water for long. You will find desert apple, banana, and orange plants that impregnate the air with fruity scents. The entrance itself is magical, adorned with a garland of beautiful flowers. While in Jodhpur, why not give your mind, soul and body a revitalising yoga session? There are plenty yoga studios to choose from. You will get lessons from experienced instructors on how to go about the ancient meditative practice. If you are with kids, no worries. There are lessons designed specifically for little children. If you the adrenaline junkie in would like to try skydiving but you are too scared for it, paragliding and parasailing might be your next option. Jodhpur is a perfect place for this with its enchanting landscapes. You will get panoramic views of both natural and man-made magnificence. 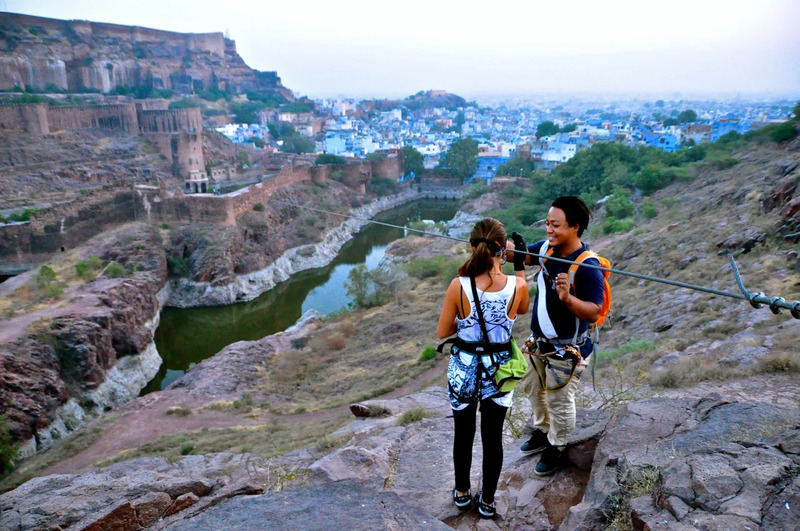 Could there be a better way to get sweeping views of Jodhpur than by a zip line? 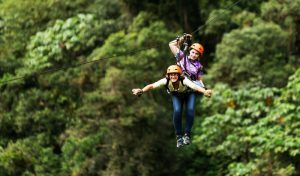 There are three main zip line companies to pick from. You have several options but the Mehrangarh Fort zip line is the best. You will get an acting fresh perspective on the fort as you fly over different beautiful landscapes. The best time to have a vacation in Jodhpur is from October to March. But, ultimately, it all comes down to what exactly you would love to do in the city. From October to February, the city is mobbed by visitors from all over the world as the weather is at its best. November marks the start of winter but these are never harsh. Temperatures do not drop below 10 degrees Celsius, which is not too bad. The rainy season lasts from July to September. The air is filled with humidity which puts off many traveller. During this time, there is little traffic in the city and prices of accommodation and other services drop. 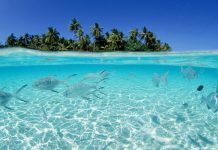 If you are a frugal vacationer, this is the best time to travel. 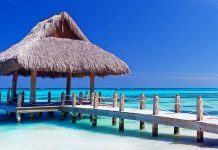 You can get great deals on many hotels. i really wanna visit mahrangarh fort and jaswant thada. these are the best place.